On our daily basis, we tend to have some software that we use every time we turn on the computer. We as if can’t live without those apps. For instance, you definitely use a web browser every single day when working. 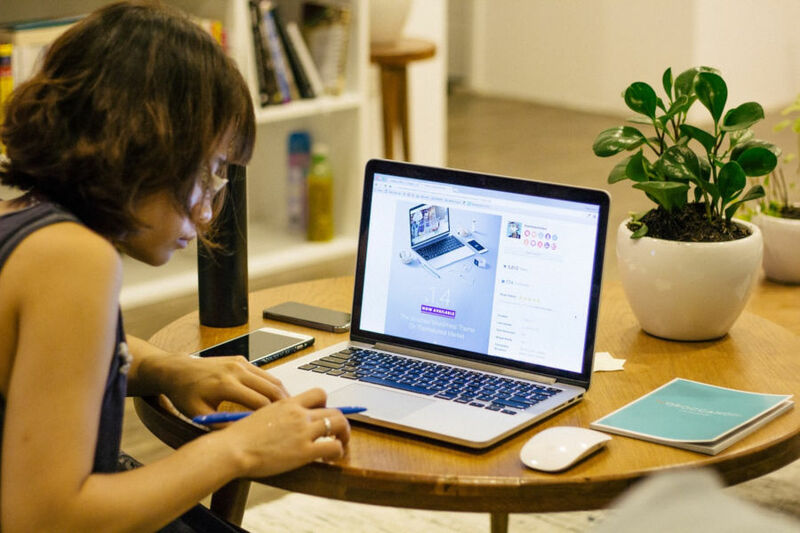 For some people, software like Photoshop and Microsoft Office are also part of their daily basis and they can’t live without them. The industry of software has transformed within the last years. Many software companies have changed their business model. Instead of one-time purchase, many software companies started applying subscription-based business model. As you know, Adobe is no longer sells its products — like Photoshop and Lightroom — in a one-time purchase method. You are required to pay monthly/yearly subscription fee. Later, Microsoft started following to adopt the same business model by releasing Office 365. Actually, there are a bunch of open source software out there you can use to replace the proprietary software to lessen the dependence. Most open source software are released for free. You can use them legally without spending a dime, which is good for your balance sheet. If you use Windows, following are 11 of best open source software that you can use to replace proprietary software having installed on your computer. Before Google Chrome emerged, Firefox was the most popular web browser along with Internet Explorer. Firefox itself the pioneer of modern web browser. It is the first modern web browser to support frame. Firefox itself is an open source web browser developed by Mozilla. This web browser is available for all desktop platforms, including Windows. We have to admit that Firefox is no longer the king of web browser like it used to be. However, Firefox is still a good web browser, especially since the release of Firefox Quantum. More and more features are being added to Firefox. 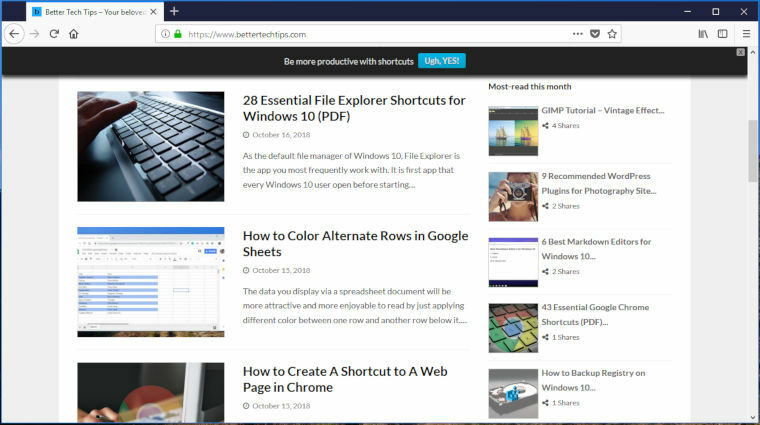 In Windows, Firefox can be a great alternative to Microsoft Edge or Internet Explorer which are far from good. For most Windows users, Microsoft Office is the first name to come in mind when they need an office suite software. Everyone also knows that Microsoft Office is a paid software. You need to buy the license of Microsoft Office or become a paid subscriber before being able to use it. Microsoft itself provides Microsoft Office in several packages. The standard package of Microsoft Office consists of four components: Word, Excel, PowerPoint and Outlook. There are several alternatives to Microsoft Office available out there. One of which is LibreOffice. The only component offered by Microsoft Office that is not available on LibreOffice is Outlook. The rest, LibreOffice is extremely reliable to replace Microsoft Office. In fact, LibreOffice has more components than Microsoft Office. Three main components offered by LibreOffice are Writer (to replace Word), Calc (to replace Excel) and Impress (to replace PowerPoint). In addition, there are also Draw (drawing tool), Base (database management tool) and Math (to work on mathematical formula). Most importantly, LibreOffice has a compatibility with Microsoft Office. 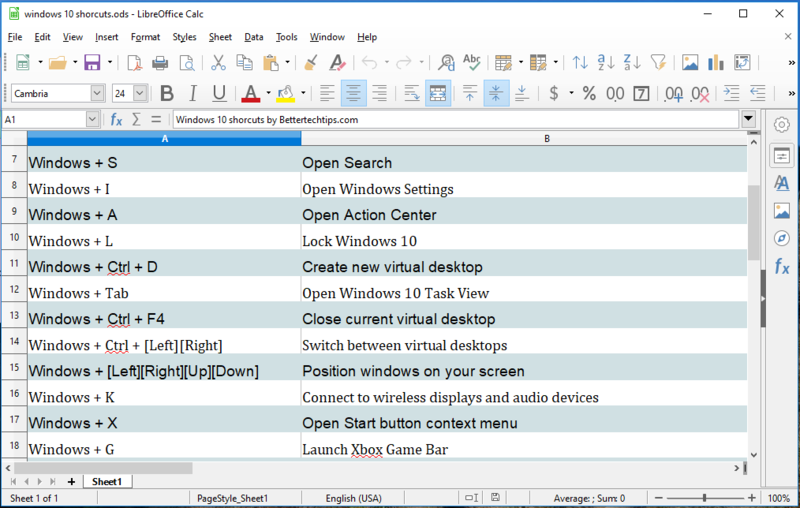 For instance, you can use LibreOffice Writer to open/save a document in DOCX format. LibreOffice itself is an open source office suite developed by The Document Foundation. It is also available for all desktop platforms, including Windows. If you are a photographer or designer, GIMP is a great image manipulation tool which you can use to replace Photoshop. 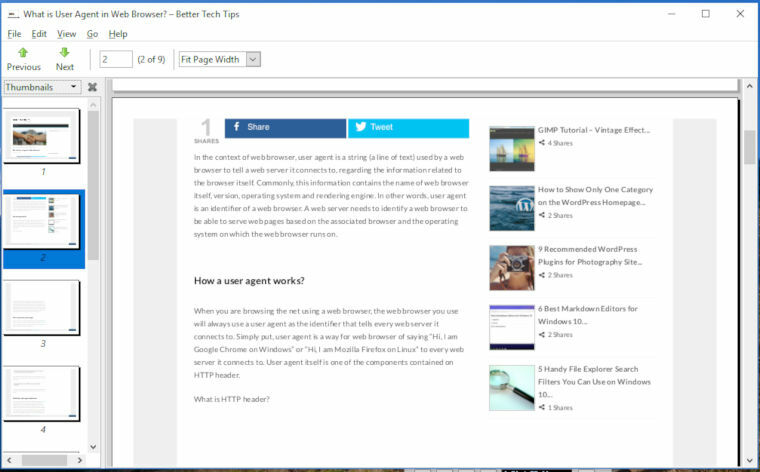 If you haven’t heard about this tool before, you can take a look at its interface on the screenshot above. As you can see, the interface of GIMP is pretty similar to Photoshop. Furthermore, GIMP also has a compatibility with Photoshop. You can open PSD files with GIMP although in some cases your files won’t be perfectly converted. Speaking of GIMP, we have several GIMP tutorials here. Just like Photoshop, GIMP is also a versatile image editing tool. You can use it whether as a photo retouching tool or design tool. 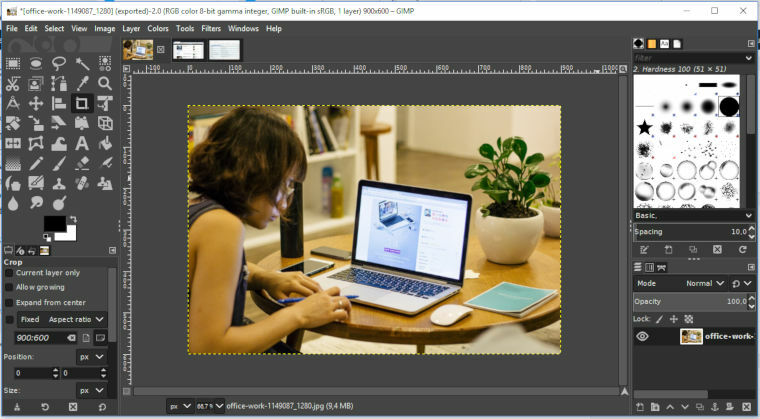 GIMP is an open source software developed by a community (The GIMP Development Team). GIMP is also available for all desktop platforms. From Linux, Mac and Windows. It is the best free alternative to Photoshop. There are two main reasons why most designers use Adobe Illustrator. First, they think that it is the only tool they can use. Second, they have no idea about other alternative. 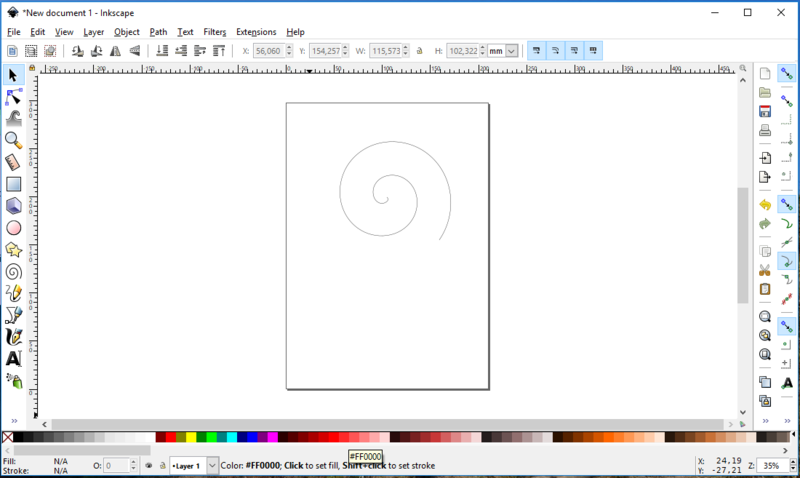 Inkscape is one of the free alternatives to Adobe Illustrator. You can use to edit vector graphics just like Illustrator. From icons to digital arts. Inkscape might is not as popular as Adobe Illustrator, but it is reliable enough to work on digital arts. Inkscape is also released as an open source software under GNU General Public License v3. It is available for Linux, Mac and Windows. Some professional photographers prefer to shoot in RAW instead of JPEG since they know that they can do more things with RAW files in the editing process. Speaking of RAW, Lightroom is the first name to come in mind. Everyone agreed that Lightroom is second to none when it comes to RAW editing. But, have you heard Darktable? You can see the interface of Darktable on the screenshot above. Darktable is an open source RAW editing tool. It is capable of editing RAW format of various camera brands. From Nikon (NEF), canon (CR2), Sony (ARW) and so on. Furthermore, RAW can also be used to manage the RAW files on your computer. Darktable adopts non-desctructive mechanism. Meaning that it won’t ruin the original RAW files. Instead, Darktable creates a sidecar file to store the metadata regarding the editing process. 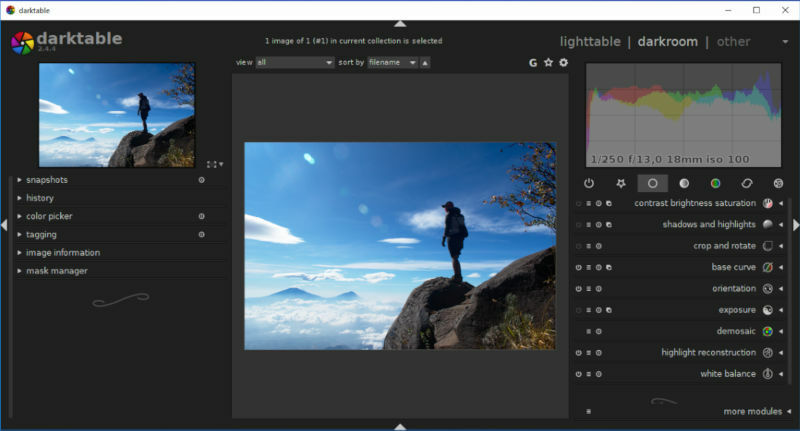 Darktable is available for Mac, Linux and Windows. Darktable is arguably the best free alternative to Lightroom. VLC is the first choice of multimedia player for most Linux users. Actually, VLC is a cross-platform software. In addition to Linux, VLC is also available for Mac and Windows. 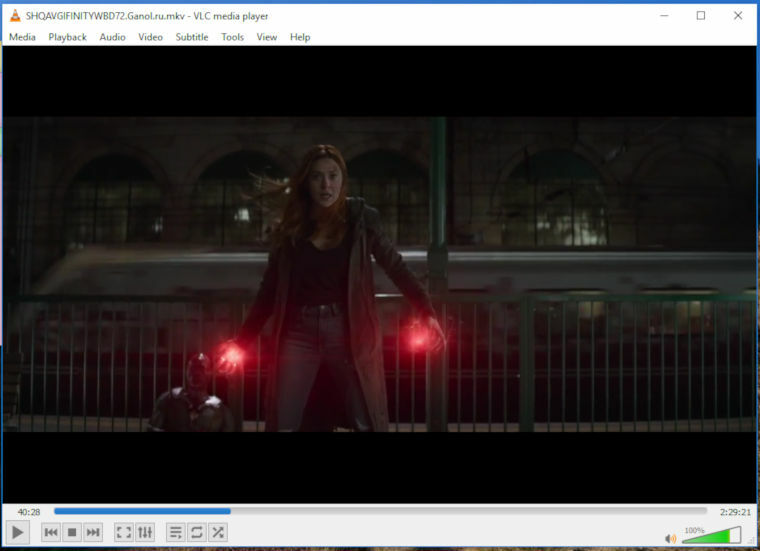 VLC can be a good replacement of default multimedia player on Windows. The advantage of VLC compared to other multimedia players is that it supports more multimedia codecs. Nearly all multimedia codecs — from free codecs to proprietary codecs — are supported by VLC. VLC is released as an open source software under the GNU Lesser General Public License. VLC itself is more than a multimedia player. There are more things you can do with VLC than you might think. For some people, PDF is still the favorite document format due its portability. Adobe Acrobat Reader is a popular PDF reader used by the vast majority of Windows users. But, it is no the only PDF reader out there. There are tens Adobe Reader alternatives available out there. Including the ones released as an open source software. One of which is Evince. Evince might doesn’t come with much features like Adobe Reader, but it is reliable enough for reading PDF documents. Evince is a purely a PDF reader that comes with a simple, clean interface. It supports side panel for easier navigation for long PDF document. Evince itself becomes the default PDF reader on some Linux distributions, including Ubuntu. You can also install it on Windows. 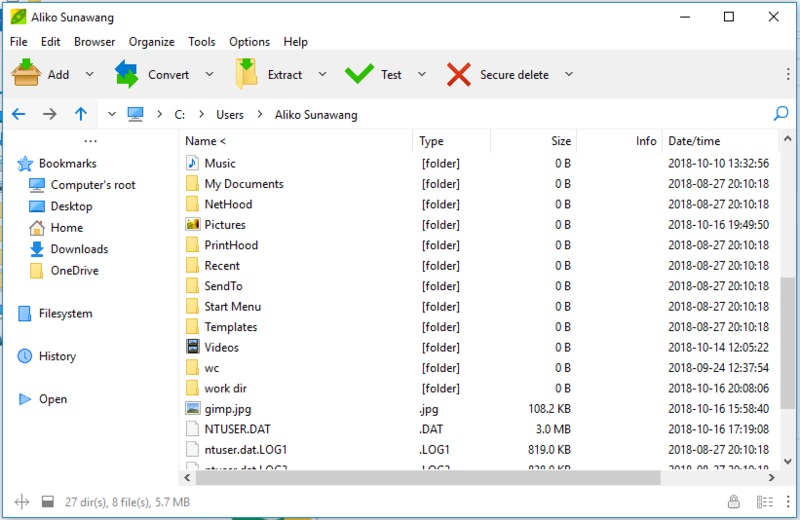 The developer of Evince doesn’t provide a binary file of Evince for Windows, but you can download the binary file offered by third parties like Cnet and Softonic. Dia is an open source diagram software. It is the open source software you need if your job involves diagram making. The vast majority of Windows users use Microsoft Visio to create diagrams. Dia can be a great alternative if you are looking for a free Visio alternative. Dia is a powerful diagram software. You can create a wide range of diagrams from UML, flowchart, network diagram and so on. Most importantly, Dia has a compatibility with Visio. It is capable of handling VSD/VSDX (file extensions of Visio) files. Dia itself is available for Mac, Linux and Windows. The binary file of Dia is available on its official site. 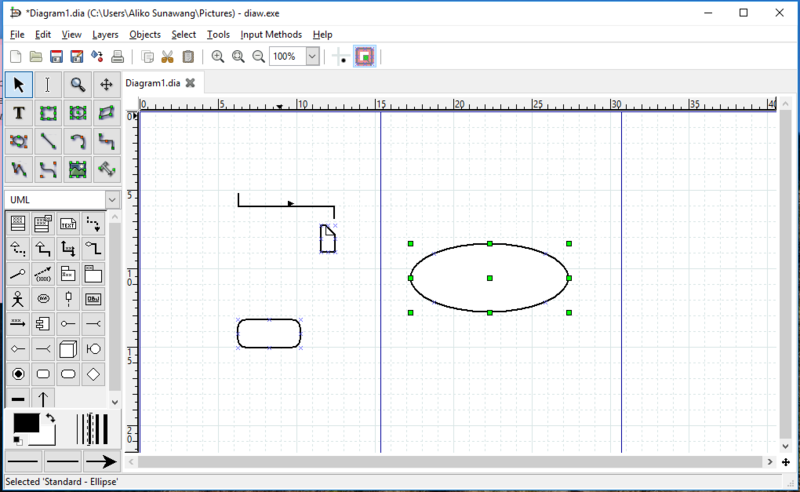 In addition to Dia, there is also draw.io as an open source diagram software alternative to Visio. draw.io is also released as a cross-platform software for Windows, Mac and Linux. draw.io is an online diagramming tool, but the desktop version is also available in case you want to use it offline. The source code of draw.io is available on GitHub. Licensed under Apache v2. If you often share files online, the file archiver is the sort of tool you frequently work with. There are two most common archive file formats used by computer users: RAR and ZIP. WinRAR and WinZip are two common tools to work with archive files. But, as you know, they are not available for free. PeaZip can be a great alternative to either WinRAR or WinZip. PeaZip is a free, open source archive manager developed by Giorgio Tani. It is available for Linux, Mac and Windows. PeaZip is licensed under the GNU Lesser General Public License. The source code of this tool is available on GitHub. PeaZip supports a wide range of archive file formats. Including the popular ones like ZIP and RAR. It also comes with a password-protect feature. Some people prefer to work with email on desktop app instead of web. Outlook — which is part of Microsoft Office — is one of the most popular desktop email client apps for Windows. Have you heard Thunderbird? 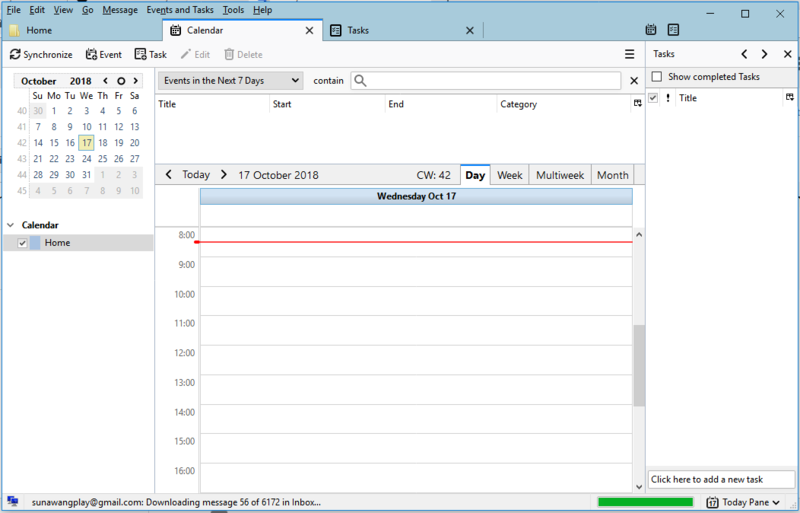 Thunderbird is an open source email client developed by Mozilla. It is another well-known product from Mozilla other than Firefox. Thunderbird supports both IMAP and Pop3. You can also use it as an email client for email services like Gmail or Yahoo!. Thunderbird is a feature-rich email client. It comes with features like calendar, task manager and contact manager. Same as Firefox, Thunderbird is also available for Linux, Mac and of course, Windows. Password manager became a new crucial tool be installed on personal computer these days due to many online tools and services that require you to login before being able to use. Open source community also has a solution of password manager if you are the sort of person who use this kind of tool. There are several open source managers. KeePass is one which. Compared to proprietary password managers like LastPass and Dashlane, the features offered by KeePass are much fewer. At the time of writing, KeePass doesn’t offer a one-lick login feature like LastPass and Dashlane. But, KeePass is capable enough of managing your passwords. 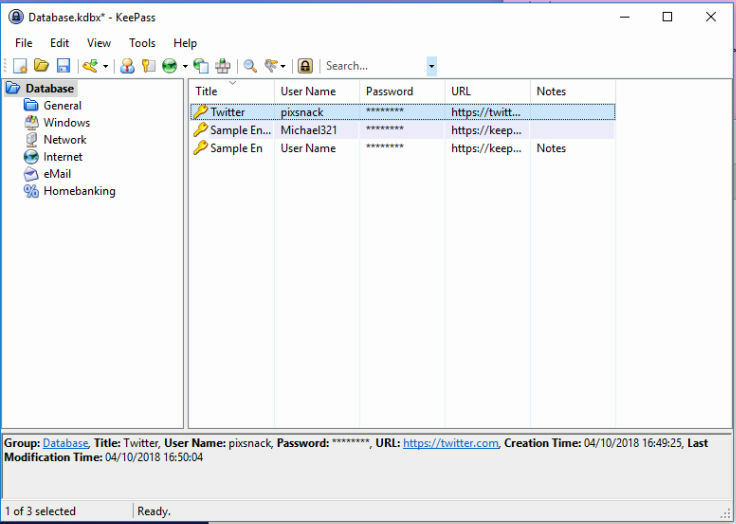 KeePass itself is also a cross-platform app. It is available for Linux, Mac and Windows. Furthermore, KeePass is also available for Android.